Cambridge, ON. 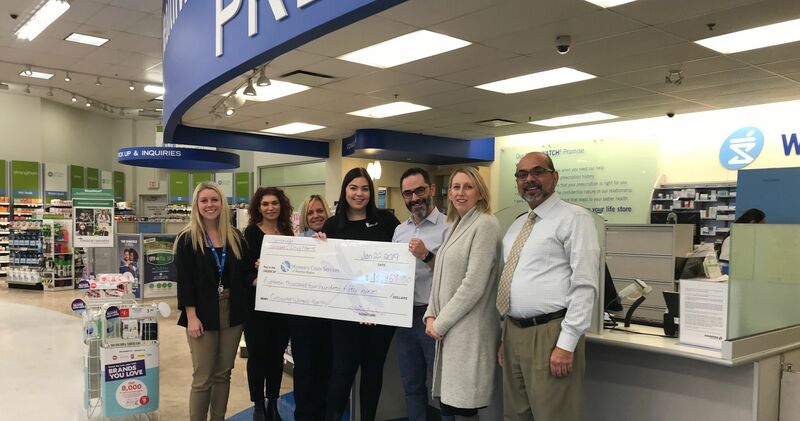 January 22, 2019 – Women’s Crisis Services of Waterloo Region recognized the Shoppers Drug Mart stores of Cambridge for raising more than $18,000 through their Growing Women’s Health campaign for Haven House shelter. Under the leadership of Bashir Sachoo, owner of the Shoppers Drug Mart on Hespeler Road, Cambridge Shoppers Drug Mart stores have raised more than $94,000 since 2014 to support women and children escaping domestic violence in Cambridge and North Dumfries. The funds were raised through employee-driven initiatives, including BBQs, auctions, and asking for customer donations at the cash register.